Over the past four decades the fear of crime has become an increasingly significant concern for criminologists, victimologists, policy makers, politicians, police, the media and the general public. For many practitioners reducing fear of crime has become almost as important an issue as reducing crime itself. The identification of fear of crime as a serious policy problem has given rise to a massive amount of research activity, political discussion and intellectual debate. Despite this activity, actually reducing levels of fear of crime has proved difficult. Even in recent years when many western nations have experienced reductions in the levels of reported crime, fear of crime has often proven intractable. The result has been the development of what amounts to a fear of crime industry. Previous studies have identified conceptual challenges, theoretical cul-de-sacs and methodological problems with the use of the concept fear of crime. Yet it has endured as both an organizing principal for a body of research and a term to describe a social malady. 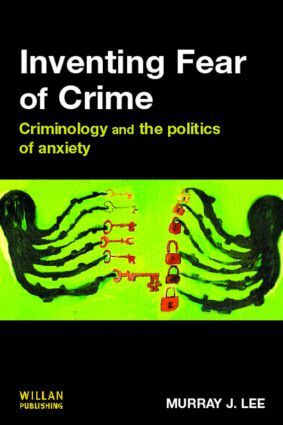 This provocative, wide ranging book asks how and why fear of crime retains this cultural, political and social scientific currency despite concerted criticism of its utility? It subjects the concept to rigorous critical scrutiny taking examples from the UK, North America and Australia. Part One of Inventing Fear of Crime traces the historical emergence of the fear of crime concept, while Part Two addresses the issue of fear of crime and political rationality, and analyses fear of crime as a tactic or technique of government. This book will be essential reading on one of the key issues in government and politics in contemporary society.